This winter, the University of Hull’s Brynmor Jones Library will be the home of a popular photography exhibition by photographer and historian Dr Alec Gill MBE. 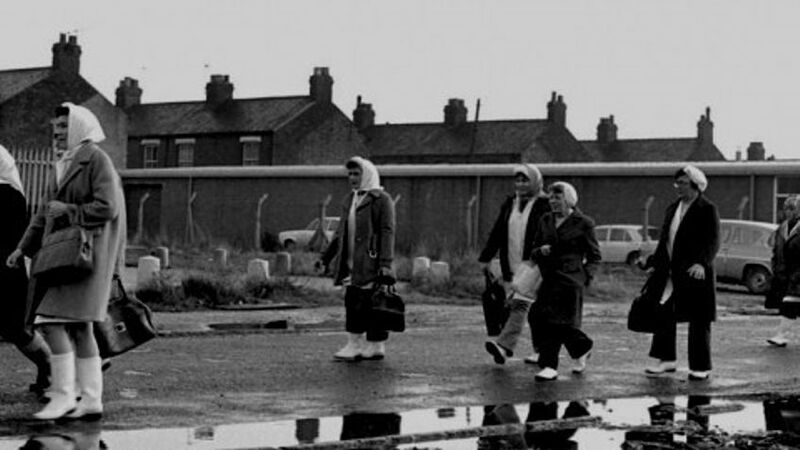 The Hessle Roaders captures life in Hull’s former fishing community during the 1970s and 1980s, and was a highlight of Hull’s year as UK City of Culture when three showings of the images at Hull History Centre broke audience attendance records, attracting over 8,000 visitors. Alec began the work whilst studying his Psychology degree at the University of Hull between 1974 and 1977. People have always been central to the study and Alec, who sometimes describes himself as “a psychologist with a camera” aiming to capture everyday life, took over 6,500 negatives that capture the pre-digital world when children played street games, corner shops abounded, and the port had a powerful deep-sea trawling fleet. The exhibition will be open to the public between 16 November and 6 January in the Brynmor Jones Library. Entry to the exhibition is free of charge and is open seven days a week from 10am-5pm except Tuesday, when the exhibition closes at 7pm. Want an event with extra ooo? Looking to organise an event with us but need more information? Complete this form and we’ll be in touch within one business working day. By submitting this form you agree to us using this information only for the purposes intended in order to deliver and/or improve our services. In addition we would like to tell you about amazing offers, latest news, discounts, product launches and events at the University of Hull via email. Please let us know if you would like to opt in to receive email communications from Beyond Events.